Some people believe that the use of white can make a design appear cold but consideration must be given to the amount of light that will enter the room. 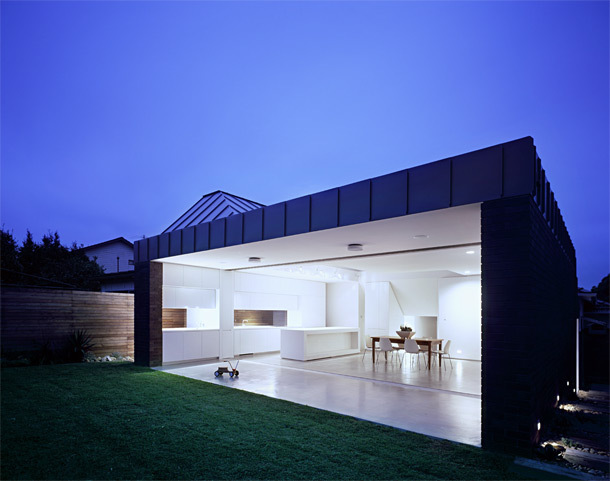 The large sliding doors incorporated into this design allow the inside to become the outside. This aspect of the architecture also allows the evening sunlight to bathe the reflective white surfaces incorporated here allowing the kitchen to take on a life of its own. The ever changing patterns created by the path of the sun and the potential colour from the garden paint an ever changing picture on this white kitchen canvas!